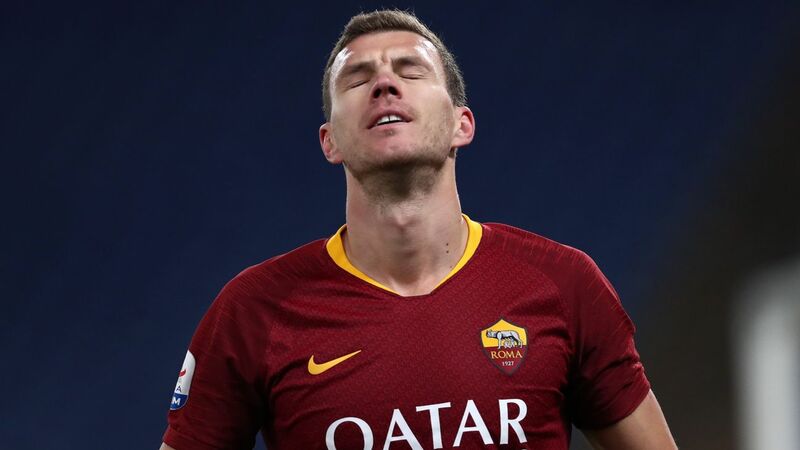 Roma striker Edin Dzeko could be given a lengthy ban if allegations of spitting at the referee during Wednesday night's 7-1 defeat at Fiorentina are confirmed. Dzeko, who was shown a straight red card for dissent in the 72nd minute of the Coppa Italia quarterfinal clash in Florence, already faces a ban for his dismissal. Caught on video and in still images, the 32-year-old appeared to spit at referee Gianluca Manganiello and his fate will be confirmed when the official's report is published.